Aimless, Japan has been struggling to find a suitable vision, or model, for its future. Should it strive to be like Finland, small but prosperous? Should it de-emphasize economic growth and focus on sustainability and lifestyle? Should it look to the go-go ’80s for inspiration? Or should it withdraw from active engagement with the world and into its own cultural comfort zone (neo-isolationism, or shinsakokushugi)? Without a vision or model to aspire to and measure progress against, Japan will continue to drift. Consequently, I would like to throw one more candidate into the ring as a partial model for Japan: Israel. I have worked with Israelis fairly often in recent years. Temperamentally, Israelis and Japanese are near-polar opposites. Japanese abhor conflict and strive for harmony; Israelis relish a good argument at any time, for any reason. Japanese practice tatemae; Israelis are pure honne. Japanese demand order; Israelis thrive on chaos. Japanese plan meticulously; Israelis prefer improvisation. Japanese are formal and reserved; Israelis are informal and familiar. 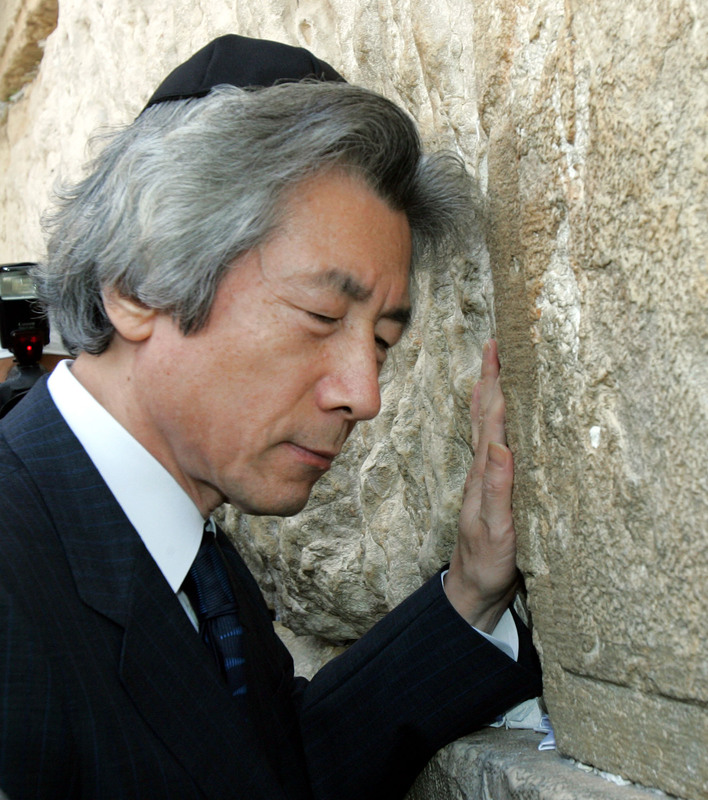 Japanese find comfort in settled vertical relationships; Israelis have little use or respect for hierarchy. Cultural traits aside, however, at a macro level Japan and Israel share a common core: Both nations possess few natural resources but their people. By effective deployment of their human resources, both rose from deprivation to prosperity in, historically speaking, the blink of an eye, leaving many other, seemingly more amply endowed, countries trailing far behind. Japan and Israel both live or die on their wits alone. But while Japan saw its greatest period of economic growth and wealth creation come to an abrupt end two decades ago, Israel is now in the midst of an economic Golden Age, with healthy growth continuing despite the global financial slowdown and a perpetual state of conflict with their Mideast neighbors, amazing technological innovation at companies big and small, and the development of a wildly disproportionate number of world-beating startup companies. Israel is punching far above its weight; Japan can’t seem to get off the mat. Are there any lessons Japan can draw from Israel’s successful management of its human resources to inject new life into its stagnant economy? Let’s examine a few of the factors that have contributed to Israel’s economic success. Israel is a hotbed of entrepreneurial activity, especially high-tech startups in telecoms, software, semiconductors, medical devices, clean tech, and so on. This is a recent phenomenon, dating back only to the early 1990s. What accounts for Israel’s success? First, government policies were successfully implemented to encourage new businesses, especially in high tech, by lowering corporate taxes, lifting onerous regulations and creating innovative public-private programs to funnel venture capital to promising startups. Second, Israelis welcome risk and are not cowed by failure. Once Israelis started to see some of their compatriots become successful in new ventures, more took the plunge. Success bred success in a now largely self-sustaining virtuous circle. Japan can learn from Israel’s example and do more to grow its relatively small venture business sector. The Japanese government has already adopted measures to promote business generally by moving towards a cut in corporate taxes, eliminating or softening some meddlesome regulations and, more timidly, promoting a venture capital industry. Regrettably, more energetic measures probably cannot be expected in the short term given Japan’s dysfunctional political class. There may be more hope for progress in cultivating an appetite among Japanese for high risk/high reward business ventures. Japan is already the birthplace of many world-class entrepreneurs. Soichiro Honda, in the face of strong government opposition, created one of the world’s great car companies. Konosuke Matsushita built Panasonic from a small light socket and bicycle lamp manufacturer into a multinational consumer electronics giant. Akio Morita and his colleagues made Sony into the Apple of its day. Today, Hiroshi Mikitani at Rakuten and Yoshikazu Tanaka at Gree are competing with Silicon Valley’s powers-to-be as they take their Internet businesses global. The success of these and other innovators is built on boldness and a willingness to learn from failure and persevere (as the Japanese saying goes, shippai wa seikō no moto — success is founded on failure). Japan has not empowered enough risk-takers, but surely no one can look at the likes of Mr. Honda and Mr. Mikitani and deny that the entrepreneurial spirit is native to Japan. Why aren’t there more entrepreneurs in Japan today? It’s a multifaceted problem, with the absence of readily available venture capital a big structural component. But there are other, more human factors. There are, for example, thousands of talented potential entrepreneurs in Japan locked away in the R&D, marketing and other departments of giant, sluggish corporations. These folks may just need a push to get their entrepreneurial juices flowing. Painful as it would be, large-scale layoffs by overstuffed Japanese corporations might be just what the doctor ordered to spur talented people to take their fate into their own hands by launching new businesses. Think of it as a corporate prison-release program. 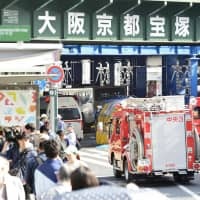 More newly minted, but un-(or under-)employed Japanese college graduates may also be coming to realize that they would be better off starting their own enterprises than seeking the false security of employment by large corporations or government. Most of these new businesses would fail, but many would succeed. A few might be game changers. Israeli organizations are fairly flat, and Israelis themselves are informal in their dealings even with their nominal superiors. Israelis don’t allow seniority, in terms of rank or age, to inhibit them from advocating for their beliefs or questioning the decisions of their managers. A result is more innovation and out-of-the-box thinking. As recounted in “Start Up Nation” by Dan Senor and Saul Singer, engineers at Intel’s far-flung outpost in Israel engaged in a sustained rear-guard action to persuade their bosses at company headquarters in California to fundamentally change the way Intel designed its flagship microprocessors. HQ finally relented. The Israeli-designed chips proved to be a huge boon for Intel. Japan has the trappings of a very hierarchical society. Everyone knows the rank and age of their colleagues, with due deference shown. Superficially, Japanese and Israelis seem to have little in common in their attitude toward authority. But, as with many things in Japan, appearances can be deceptive. Japan is a famously consensus-driven society. While titles are important and rank is respected, decisions cannot easily be made by executive fiat. All relevant constituencies need to buy into important decisions. This need for consensus means that being high in the pecking order often is more about status than exercisable authority. Moreover, many Japanese companies are already skilled at uncovering and implementing good operational ideas from their rank-and-file (for example, Toyota’s constant, incremental improvements to its manufacturing processes based on input from the factory floor). Consensus decision-making can upend hierarchy by requiring that all levels of an organization be involved in the process. What is often missing in Japan is a sense that employees (junior, middle or even upper management) are safe to challenge a company’s strategic decisions or try to move the company in a new or unconventional direction. Olympus and Daio Paper are but extreme examples of the general unwillingness to buck authority. But there are exceptions. Toyota’s Prius and Sony’s Playstation were both developed in the teeth of significant internal opposition. I suspect that the advocates for the Prius at Toyota and Playstation at Sony acted a lot like Israelis would have (but without the yelling). Japan and Israel are both islands (Japan literally, Israel because its borders are largely closed due to conflict or cold peace with its neighbors). The effect of this geographic isolation on each country’s people has been very different. Japanese often have an inward-looking, shima-guni (island country) mentality. This tendency has been further enabled by Japan’s large internal market for goods and services, allowing many Japanese firms to prosper even as they restrict their gaze to the domestic market. While many large Japanese companies have obviously been very successful at exporting their products, the layer of people in Japan with meaningful foreign experience, global-mindedness and English language skills is remarkably thin. The situation is arguably getting worse, with the number of Japanese students studying abroad trending downward and, anecdotally, fewer Japanese salarymen attracted to overseas postings. By contrast, Israelis feel the urge to break out of their Mideast isolation the first chance they get. Large numbers of young Israelis travel the world after they complete military service, exposing themselves to other cultures and ways of thinking. Many work abroad to support themselves during their travels, developing business skills and making contacts that will serve them later in life. Because the Israeli market is so small and Hebrew spoken by so few, Israeli businesspeople also know they must depend on foreign markets, and speak English, to achieve business success. Japan can learn some lessons from Israel. The Japanese market is shrinking and may gradually become too small to produce the good jobs and prosperity that Japanese expect and deserve. To grow, many small- and medium-size Japanese companies that heretofore have focused solely on their backyard will have to look overseas for new markets. And they won’t be able to do it speaking Japanese. Japan has successfully faced this challenge before. In the early years of the Meiji Restoration many elite Japanese were dispatched to Europe and the United States to acquire foreign business, technological and legal know-how to enable Japan to build a modern society. 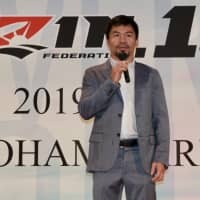 In the postwar period, many up-and-coming Japanese businessmen went overseas to promote Japan Inc. Japan needs to repeat this feat, but this time, as in Israel, the dissemination of foreign thinking and languages (especially English) needs to reach much more deeply into Japanese society. In a knowledge-based, global economy, it is not enough for just an elite few to be able to understand and interact with the world at large. In stark contrast to Japan, Israel is a land of immigrants. Immigration has been a major contributor to Israel’s economic success. There is an undeniable link, for instance, between the arrival of hundreds of thousands of immigrants from the former Soviet Union in the ’80s and ’90s, including many highly skilled engineers, and the rapid growth of Israel’s high tech sector. And having citizens with know-how, networks and linguistic skills from around the world has given Israel a leg up in foreign markets. Immigrants are also often hungrier for material success than native-born citizens. Are there any lessons Japan can glean from Israel’s experience with immigration? A couple spring to mind. First, Israel has an “affinity-based” immigration policy. In order for foreigners to qualify for Israeli citizenship, they must either be Jewish or have strong Jewish familial ties. Thus, while there is huge cultural, geographic, linguistic and even racial diversity amongst immigrants to Israel, they all share Jewish roots. Second, Israel’s government has a robust system for assimilating immigrants into Israeli society, including intensive Hebrew language programs. Not long ago, a Japanese friend was preparing for a meeting with a high-ranking, Russian-born Israeli government official and asked me about possible topics for conversation. One that I mentioned was immigration and, specifically, how Israel has been able to sustain its national character and unity (at least when faced with adversity) in the face of massive immigration. Affinity immigration and comprehensive assimilation policies clearly have a lot to do with it. They also may present Japan with a road map to its own immigration reform. The Japanese diaspora is much smaller, in relative and absolute terms, than the Jewish Diaspora that Israel has been able to tap. It is not insignificant, however. There are approximately 2.5 million descendants of Japanese immigrants outside of Japan, predominantly in the United States and Brazil. If even a small percentage were to settle in Japan, they could make a powerful contribution by bringing fresh ideas, knowledge of foreign practices, contacts and language ability. Considering the depressed U.S. job market, many Japanese Americans might be interested in opportunities in Japan, especially if the welcome mat were laid out for them. And given Brazil’s newfound status as a BRIC power, renewed efforts to attract Japanese Brazilians (this time perhaps with an emphasis on college graduates) could give Japanese companies a unique advantage in that vast, fast-growing market. Japan should consider adopting an affinity-based immigration program granting long-term visas to any ethnic Japanese living abroad who is willing to move to Japan. To give the country time to adapt, the numbers could be limited at first by requiring the applicants to have a college degree and at least one Japanese parent or grandparent. 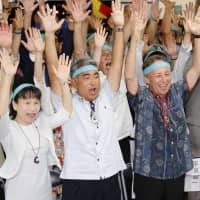 The government should also encourage them to acquire Japanese citizenship and, to make their assimilation smoother, offer financial assistance while they are enrolled in a government-run or certified intensive Japanese language and cultural training institute. Affinity immigration would not be sufficient but could be the leading edge of a broader liberalization of Japan’s immigration policies.